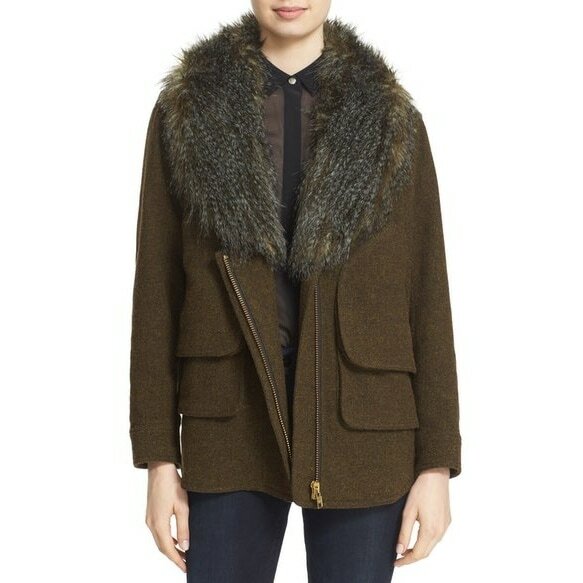 A removable shawl collar of lavish faux fur gives a dramatic look to a utilitarian Italian-tweed jacket boasting a roomy shape and oversized flap pockets. Notch collar with removable shawl collar. Chest flap pocket; front pockets. 75% wool, 23% nylon, 2% acrylic with 80% modacryclic, 20% polyester faux-fur trim.